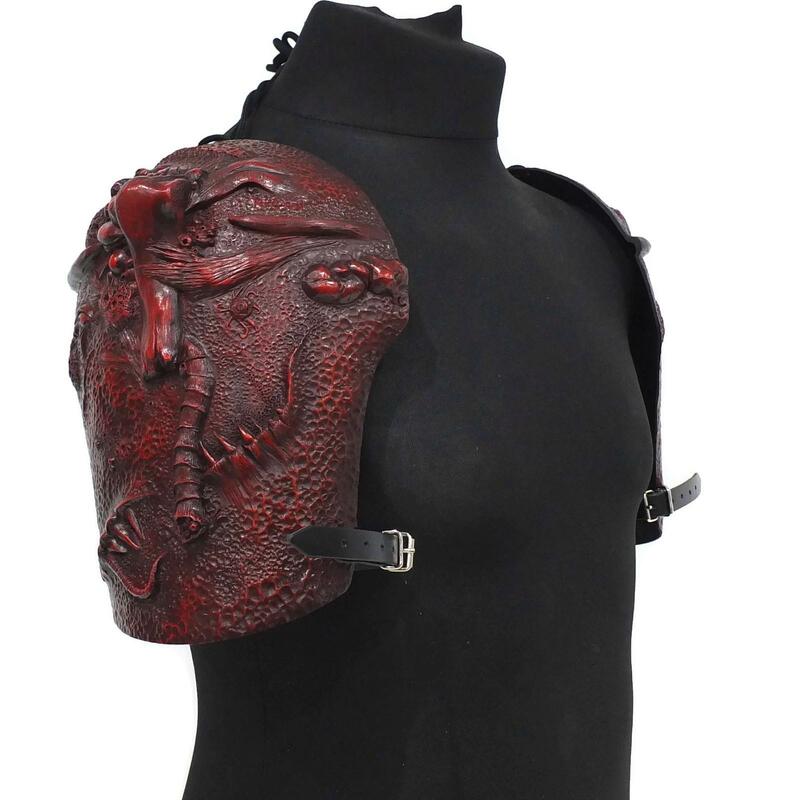 Pictured in Blood Red finish. 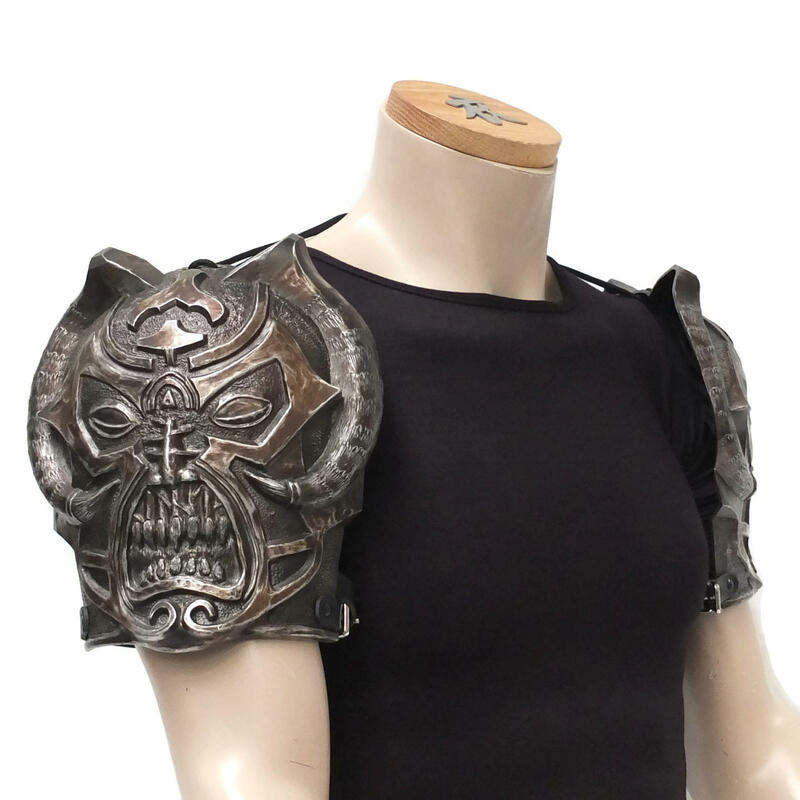 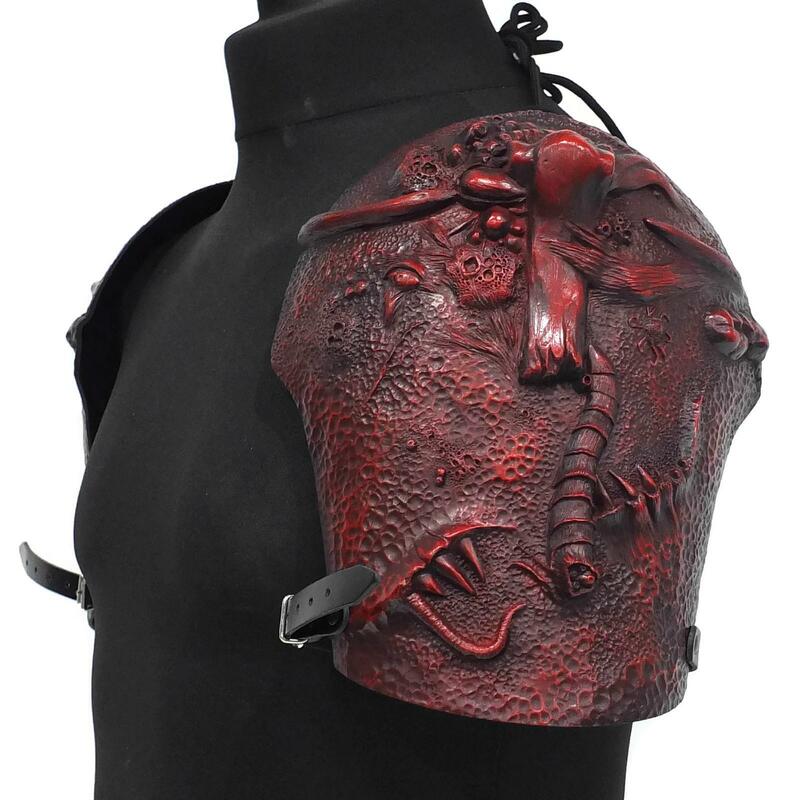 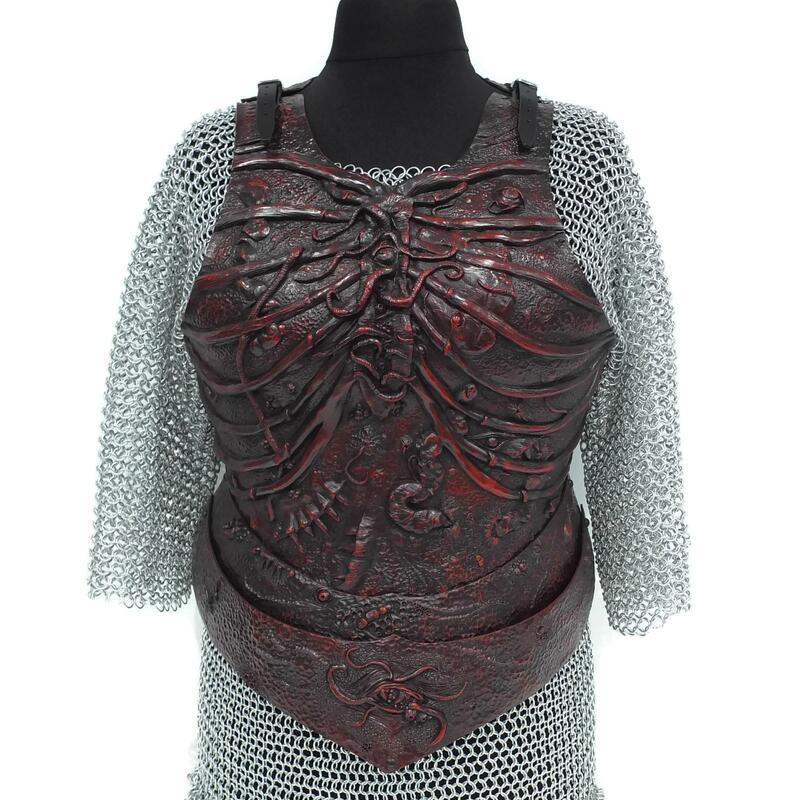 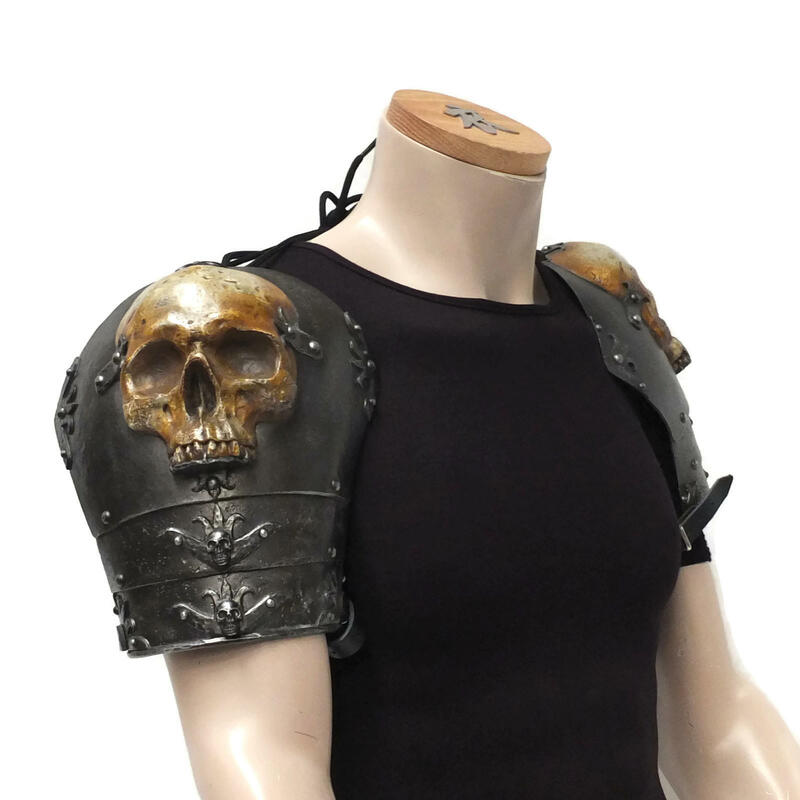 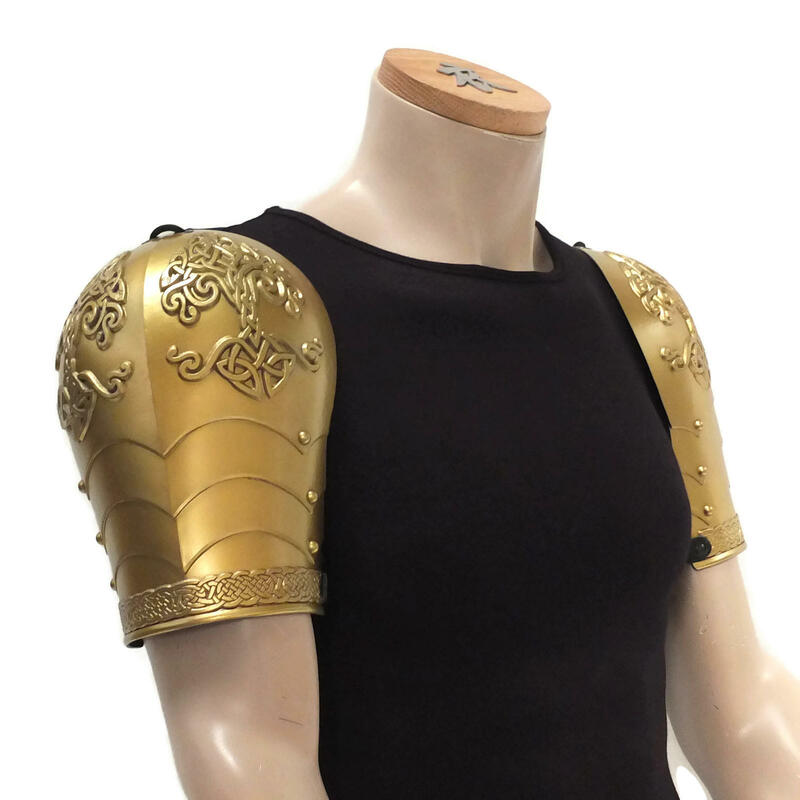 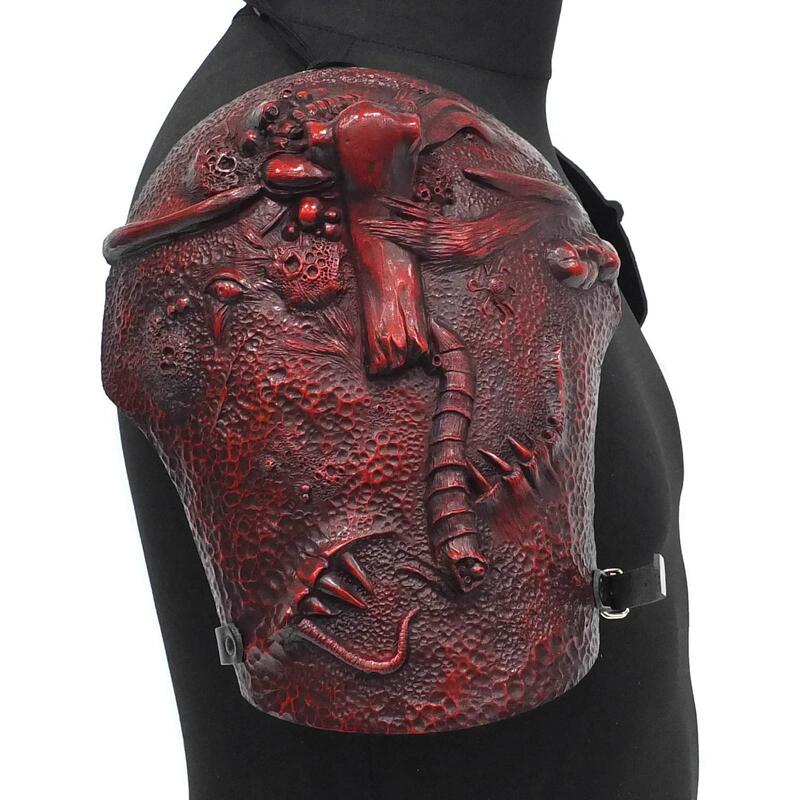 Shoulder armour with infested detail. 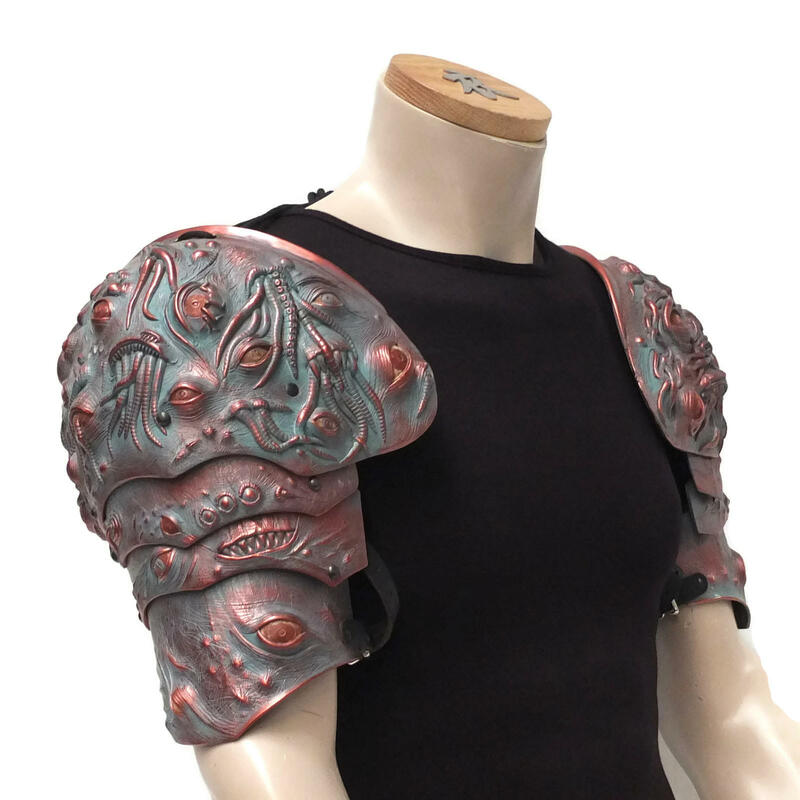 Matches our Female Infested Armour. 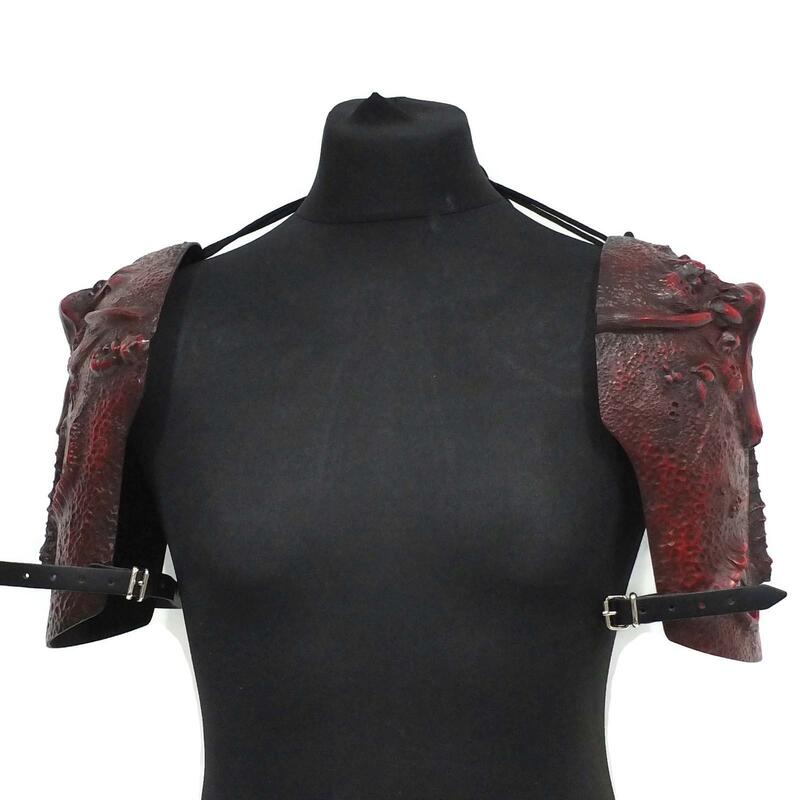 Sold as a pair, complete with shoulder lacing and leather arm strap (non-leather option available).